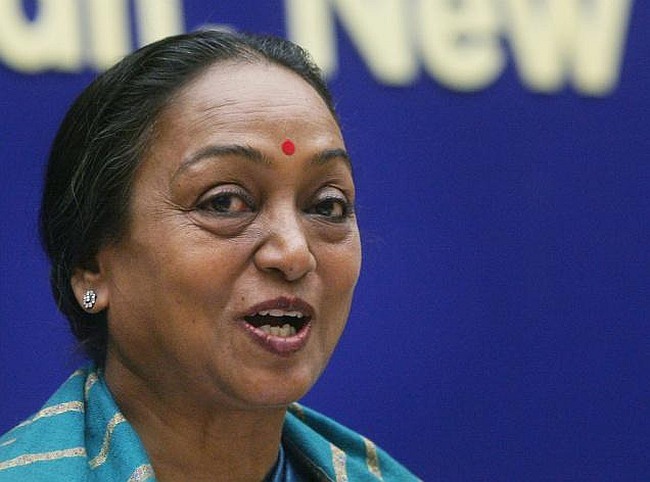 There was no addition to Lok Sabha Speaker Meira Kumar's jewellery though their value increased while her wealth rose by over three-and-a-half times since the 2009 general elections with the total value of her assets declared to be more than Rs 36 crore. She had two gold bangles, a pair of diamond tops, one gold and a white-metal ring, a pearl string with a small diamond and one Navratan ring together worth Rs 3.11 lakh, the affidavit submitted by her while filing nomination from Sasaram (Reserved) Lok Sabha seat in Bihar as Congress candidate, said. The jewellery remained the same over the last five years, prices of which, however, doubled mostly due to rise in gold prices. In 2009 the total value of her property was only Rs 10 crore and it has trebled in six years time with the total value of her assets touching to Rs 36.49 crore. The 68-year-old Kumar, in the I-Tax returns filed for 2013-14, had shown her annual income at Rs 56.4 lakh. She owned plots, houses and residential buildings in Patna and New Delhi valued at Rs 34.92 crore, as per the affidavit. With her movable assets worth Rs 1.57 crore, Kumar had over Rs 1.46 crore as bank deposits and Rs 25 lakh as cash in hand. She invested in shares of the State Bank of India and the Indian Overseas Bank.